I’ve been searching for the perfect pair of loafers but haven’t had much success. It’s hard to find such a masculine shoe translated into a women’s style that maintains its boyish charm but still feels distinctly female. 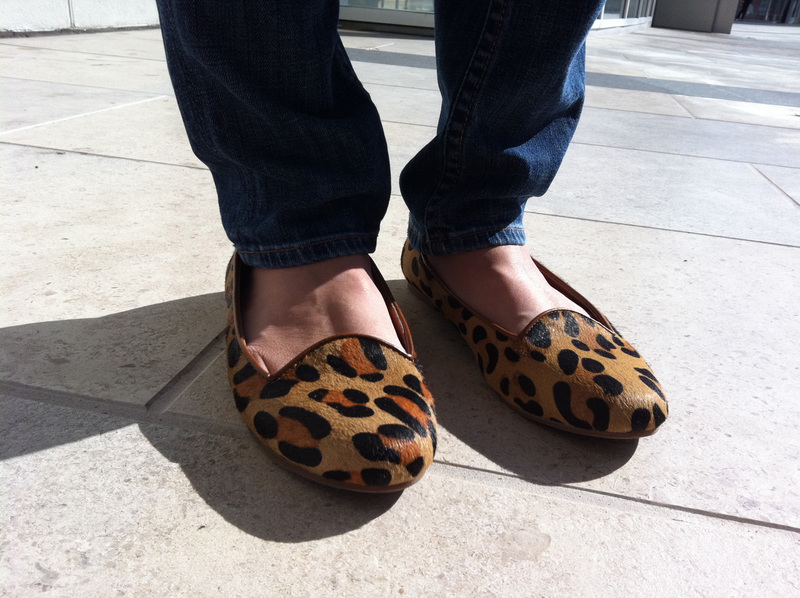 I’ve also been searching for the perfect leopard flats, but I’m really picky about the color, shape and size of the animal print because not all leopard (in my opinion) is created equal. Amazingly, I found both things in one pair. I agree! It’s hard to find that right kind of leopard print that isn’t too juvenile looking. Your loafers are perfect! I think they are the same exact print as my Max Studio heels, just slightly darker.